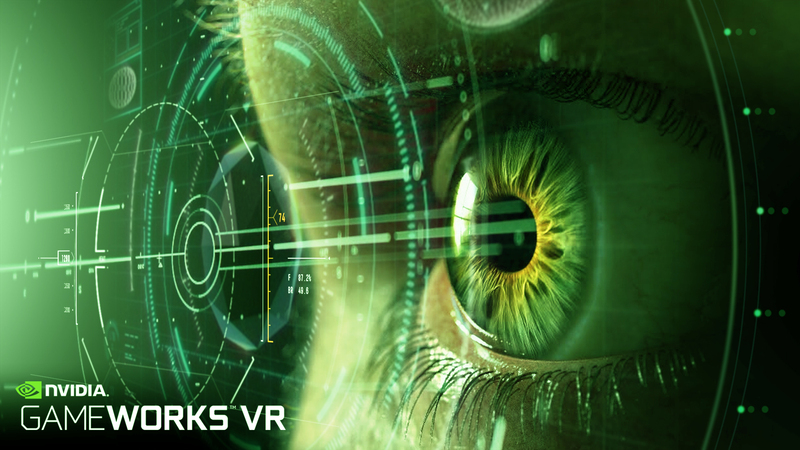 NVIDIA’s GameWorks VR will be included in Epic’s Unreal Engine 4. 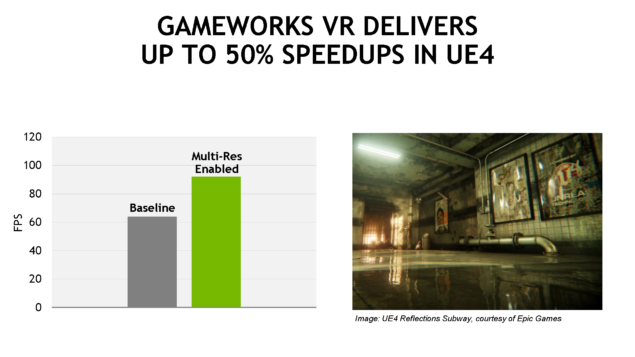 NVIDIA announced this during the VRX 2015 conference in San Francisco, while noting that UE4 “powers hundreds of games on PCs and consoles. And it’s becoming a key tool to create immersive experiences of all kinds“. Multi-Resolution Shading was detailed as part of the GameWorks VR toolset. Multi-res shading works with VR headsets to put more performance where users can see it. This particular GameWorks VR feature will be especially useful because VR gaming is going to require a lot more performance. NVIDIA prepared a slide noting that high-end VR could require up to 7X performance; that’s using 1080P@30FPS as the base example. 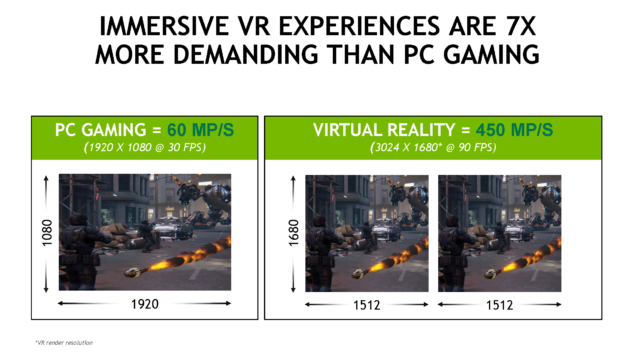 Finally, NVIDIA stated that it intends to bring the installed base of GeForce VR ready PCs from the current 5 million to more than 130 million by 2020. That’s certainly a lofty goal, since 2020 is only five years away. Quite a few Unreal Engine 4 titles are being developed with VR in mind. ADR1FT might be the most popular, but there’s also Loading Human, EVE Valkyrie and a number of smaller projects; of course, if VR devices prove to be a success when they launch in a few months, it’s likely that many more UE4 games will be programmed to support VR in the future.